The outback is a mammoth proposition, so much so that it is sometimes hard to know where to start when it comes to exploring. Here, we have compiled an essential to do list to help you navigate the wonders on offer ‘out there’. The Kimberley region of Western Australia is all but cemented at the top of most Australians’ travel bucket list. It’s an intoxicating ochre-tinged landscape of ranges, gorges, savannahs and dust that melts into the water along its edges; exploration in these parts is done on a grand scale. Epic overland journeys along the 660-kilometre Gibb River Road take in wondrous sights rendered by nature over millennia, and resound with tales of the Indigenous Australians who have respectfully dwelt here for tens of thousands of years. Navigating its coastline is an equally gargantuan task, if not a more luxurious one thanks to the exclusive collection of cruise companies that ply the waters here. There are roughly 1000 islands in the Buccaneer Archipelago alone, as well as the Horizontal Falls, King George Falls and Cape Leveque (pictured), where the red rocks of the outback meet the clear, cool waters of the Indian Ocean. This spectacular biennial, three-day festival draws the people of the Cape to the town of Laura to exchange and pass on history through song and dance. The next festival will take place from 3-5 July, 2020. Dust rises around Lockhart River’s Junior Dance Team (photo: Elise Hassey). Over 10 nights Alice Springs is illuminated with light installations designed by Aboriginal artists and projected against the imposing MacDonnell Ranges. The annual event takes place from 5-14 April in 2019. Meaning ‘meeting together’ in the Anangu language, this four-day festival, held in April at Ayers Rock Resort, features traditional and contemporary live music, an art market, bush tucker and more. Dates TBC. With over 70 Indigenous-owned community art centres in attendance, this annual event gives visitors the chance to purchase artwork directly from artists and their communities. There’s also traditional dance and music; from 9-11 August. Australia’s Aboriginal rock art is some of the most stunning in the world, and it is in plentiful supply too. There are a staggering 100,000 known rock art sites across the country, some estimated to date back 40,000 years. In Kakadu National Park head to Nourlangie to see creation ancestors including Namarrgon, the Lightning Man, and to Ubirr to marvel at the depiction of a thylacine, also known as the Tasmanian tiger, which became extinct on the mainland 2000-3000 years ago. See x-ray art (paintings depicting the skeletal frames of animals and humans) in Nitmiluk National Park. In the Kimberley, find Wandjina, on of the most significant creation spirits, and the elongated Gwion Gwion figures at King Edward River Crossing. And head to the Queensland town of Laura to see Quinkan rock art on the sandstone escarpments there. For a true insight into the traditions and legends of rock art, book a tour with a local Indigenous tour operator whenever possible. Known as Burringurrah in the local Wajarri language, Mount Augustus, located in Western Australia’s Mount Augustus National Park, often plays second fiddle to that other hulking rock formation in the Northern Territory. Mt Augustus National Park, outback WA. But the mountain island is actually bigger than its neighbour Uluru. Made up of sand and gravel deposited by an ancient river system that drained the region some 1600 million years ago, its imposing form is surrounded by arid scrub. You can drive around it on a 49-kilometre loop to get a better idea of its breadth, or the climb to the summit takes up to eight hours and requires a high level of fitness. There are a range of shorter walks requiring moderate fitness, none of which compromise on spectacular scenery or the feeling of blissful remove from the modern world. Located in the heart of Queensland’s Gulf Savannah region, Cobbold Gorge is something of a secret treasure. For the ultimate way to connect with the quiet beauty of the gorge and its surroundings try stand-up paddle boarding through it. Within Nitmiluk National Park in the Northern Territory, this is a series of 13 sandstone gorges that stretches along the Katherine River; cruise its waters and explore the park on one of its walking trails. 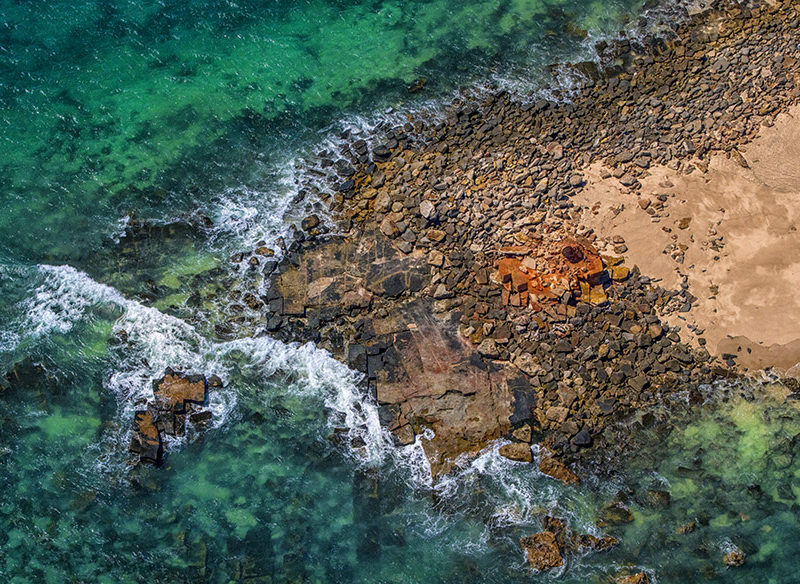 Head to Queensland’s Carnarvon National Park to see the Art Gallery, a significant Indigenous art site, and walk the 87-kilometre Carnarvon Great Walk, taking in soaring cliffs and sandstone escarpments. You can see how the volcanic rock capping the sandstone formations of Carnarvon Gorge has resisted millions of years’ erosion. West of Alice Springs in the Tjoritja/West MacDonnell National Park, Ormiston is resplendent with towering walls and abundant wildlife. Swim its cool waters or walk the Ormiston Pound Walk. Stretching some 5600 kilometres from Jandowae in Queensland’s Darling Downs, passing through Cameron Corner (where the borders of Queensland, New South Wales and South Australia meet) and finishing at the Great Australian Bight in South Australia, the Dingo Fence (now known as the Wild Dog Barrier Fence) holds the distinction of being the world’s longest fence. Originally constructed in the 1880s to ward off rabbits, it was converted in the 1940s to protect sheep in the south from dingoes in the north. You can get close to the fence in various locations in Queensland and South Australia, but since much of it crosses private land, travelling along its entirety isn’t possible. Australia has more than 500 national parks, covering a staggering 28 million hectares of land. While they blanket a diverse array of landscapes, from rainforest to bush to coastline, some of the headlining parks in the country can be found in the outback. The most instantly recognisable would have to be Uluru-Kata Tjuta National Park, home to arguably the most famous monolith in the world, the glorious Uluru, but while you are in the Northern Territory head to the slightly more low-key Finke Gorge National Park out of Alice Springs, with its oasis-like Palm Valley of 3000 adult trees and countless juveniles. Stars light up the sky behind unforgettable Uluru in the Northern Territory. In South Australia, Ikara-Flinders Ranges National Park covers 95,000 hectares and wows visitors with mountains, gorges and abundant wildlife. And in New South Wales, the luminous Mungo National Park (pictured) presents a lunar landscape that takes on an impossibly beautiful glow as day surrenders to night. With the exception of Antarctica, Australia is the driest continent on the planet (it’s actually the driest populated continent on Earth), with 18 per cent of the mainland area being classed as desert. While most people know about the Simpson and the Great Sandy deserts, Australia actually has a total of 10 deserts to explore, all imbued with an arid beauty that belies the harsh conditions found there. They are also teeming with life, populated as they are by the likes of lizards, birds, kangaroos, dingo and camels (introduced and now considered a pest). Here, the deserts in order of size. In a national park renowned for its stunning natural beauty (Ikara-Flinders Ranges National Park), Wilpena Pound stands out in its surroundings. The massive amphitheatre of mountains, a traditional meeting place for the Adnyamathanha people, Wilpena is often talked of as one of the most spectacular of all outback sites. The other side: The Vienetta-like folds of Wilpena Pound, Flinders Ranges. There are three quintessential ways to experience it: take a scenic flight over its wide expanse, gazing down at the clear, proud outline it imposes on the surrounding landscape; book a cultural tour conducted by an Aboriginal guide; or stay in the gracious surroundings of Wilpena Pound Resort, the only accommodation located within the park. Also known as Botany Bay Greens, this leafy vegetable is native to Australia and New Zealand. Packed with vitamin C, it was one of the first native ingredients to be adopted into the diet of European settlers who used it to fight scurvy. A member of the sandalwood family, the quandong grows in arid and semi-arid areas of the country. Sweet and tangy, the fruit can be stewed, dried or eaten as is; full of vitamin C, it is also a cure-all, reportedly good for treating toothache. With its green leaves and clusters of soft, fluffy yellow flowers, lemon myrtle is as pretty as it is tasty. One of the most widely used native ingredients, its leaves can be infused into oils for dressing salads and into dairy-based desserts or dried and added to spice mixes. Looking like a stretched lime, this year-round fruit is filled with caviar-like bubbles that literally pop with citrus flavour. High in vitamin C, Indigenous Australians have used them for medicinal purposes for thousands of years; the pulp and juice can be used as an antiseptic. Native to south-east Queensland, especially around Bunya Mountains National Park, the bunya tree only bears fruit once it reaches 100 years in age, and then crops every two to three years. The nuts are found inside soccer ball-sized cones and can be eaten raw, roasted or milled into flour. Growing naturally in New South Wales, Victoria and Tasmania, as the name suggests this native produces small peppercorns that have a slightly sweet taste with a peppery kick in the tail. Marron Endemic to south-west Western Australia, these freshwater crayfish have a sweet subtle taste and are quite the ingredient du jour at the moment. One of the most curious of bush tucker ingredients, found in the Northern Territory and Far North Queensland, these little insects have a green tinge and a fruity citrus taste; dried they can be added to spice mixes or sprinkled on ice-cream. Located within Purnululu National Park in the Kimberley region of Western Australia, the spectacular Bungle Bungle Range (or the Bungle Bungles as they are simply known to most) was formed an estimated 350 millions years ago, and has been known to its Aboriginal custodians for tens of thousands of years. So it is mind-blowing to think that most people only found out about it in 1983 when a film crew documented its rugged beauty. Today the whimsical World Heritage-listed beehive rock formations are one of the most popular attractions in the Kimberley, rising 250 metres above the surrounding landscape. The best way to get a true idea of its awe-inspiring scale (and wonder at how it stayed hidden from view for so long) is to take a helicopter flight over it. 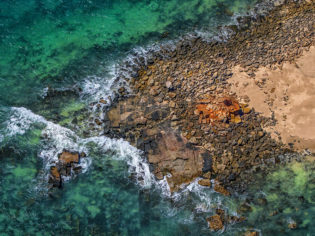 Acknowledged as Australia’s last true wilderness, Arnhem Land is located in the Top End of the Northern Territory, a location that finds itself blessed with an array of pristine landscapes, from rugged coastline to remote islands to rainforest. The sun sets over Arnhem Land (photo: Elise Hassey). The traditional owners, the Yolngu people, have dwelt here for roughly 50,000 years, living off the land and observing traditions passed down not just from generation to generation but through millennia. The best way to visit is on an organised tour as permits are required from the Northern Land Council and the Dhimurru Aboriginal Corporatio to visit this spiritual land. This mining city in the far west of New South Wales boasts heritage buildings, the Living Desert sculpture site and, nearby in Silverton, the Mad Max Museum, celebrating Mad Max 2, which was filmed in the area. Located in Central West Queensland, Longreach is viewed by many as the ultimate outback town, home to the Qantas Founders Museum and the Australian Stockman’s Hall of Fame. Meaning ‘meeting of big waters’ in the local Indigenous language, the town was established in 1961 as a service centre for the Ord River irrigation scheme. It is now an important stop for travellers exploring the Kimberley. Known as the opal capital of the world, the South Australian mining town of Coober Pedy typifies the outback spirit: in a bid to beat the harsh conditions here most residents live underground; stay at the Desert Cave Hotel. This Queensland town is writ large in outback folklore; visit to see Big Red, the tallest sand dune in the Simpson Desert; take in the annual race meeting; and to see the Burke and Wills Dig Tree. No list of outback towns can ignore Alice, located in the heart of the Red Centre. The vibrant town boasts natural wonders in the form of the Larapinta Trail and the MacDonnell Ranges and an indefatigable spirit.